Elements Europe has delivered its first modular school. Executed as a turnkey solution, the children of St Aidan’s Primary Catholic School in Illford, Essex are now enjoying their first term in their brand new facilities. Elements Europe’s on-site construction team firstly managed the demolition of the existing classroom block, laid foundations in which the modular classrooms would be placed upon, manufactured, delivered and installed the classroom modules, and went on to complete the envelope of the building as well as construct a new play area for the children. The new building consists of 9 new classrooms, 2 offices and 2 wc’s. 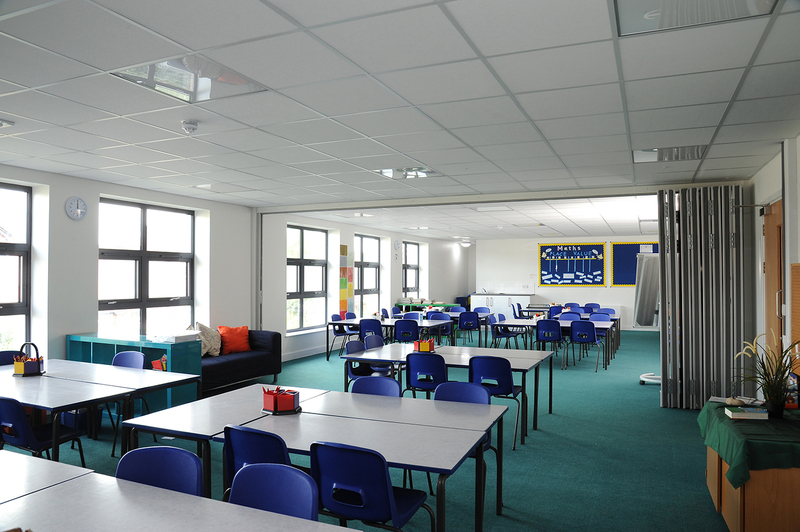 Adaptability was key for this project with a clear brief to ensure classrooms could be made bigger and smaller when necessary. With this in mind, modules were manufactured ensuring that they could accommodate temporary curtain walls for the school to be able to achieve their vision for future learning. In total 36 modules were supplied to the scheme including modular stairwells and corridor cassettes. The majority of the project was delivered during term time meaning careful thought had to go into delivery and install times to ensure minimal disruption to the children. “We look forward to delivering more modular school buildings in the future.” He added. The children also got involved with the project by designing their dream play area. Elements Europe presented the children with book vouchers for the hard work and imaginative designs.